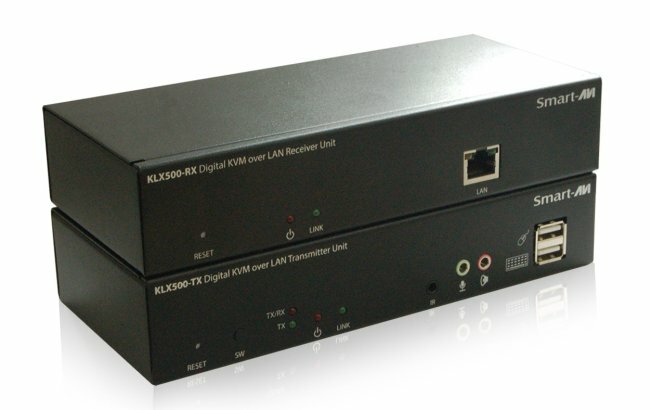 The KLX-500 Extender provides 500 feet (150 m) of connectivity using Cat5e/6 cables used in LAN infrastructure to extend KVM (Keyboard, Video and Mouse) operation of DVI and VGA input. Chain additional extenders to extend signals even further and transmit crystal clear audio-video signals in real-time. 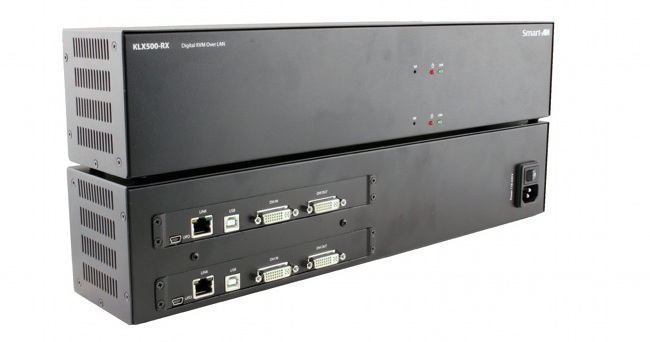 The KLX-500 is an ideal fit in preexisting LAN infrastructures, like corporate office environments and data centers. The KLX-500 supports full USB emulation and 1080p HD video up to 1920x1080 resolution at 60Hz. The KLX-500 features dual control operation for local and remote KVM support, so managing workflow is never more than a mouse-click away. 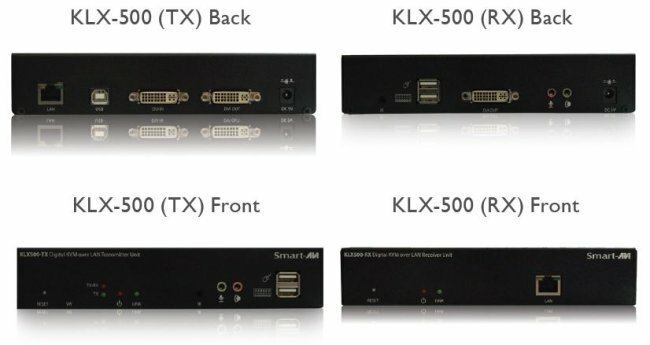 Built with plug-and-play functionality, setting up and running KLX-500 is simple and seamless; no drivers or software installations required. The KLX-500 compresses data to utilize Cat5e/6 cables at no loss to performance or picture quality. For the best visual and control results when going the distance, KLX-500 has your KVM and HD video needs covered. DVI-I KVM with Audio Point-to-Point Extender over LAN or CAT5/5e/6. Industrial DVI, KVM Signal Extender. Industrial Dual-Port DVI, KVM Extender.